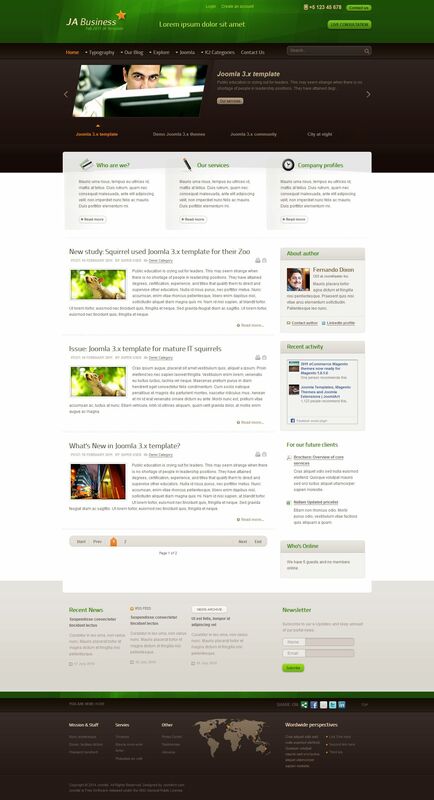 JA Business - stylish business template for CMS Joomla themes from a professional design studio Joomlart. Excellent design template that meets all modern requirements, ideal for creating websites of any complexity and functional structure. The template presented several options the appearance of the site, a huge number of module positions and styles. Flexible studio platform provides full support and optimization of tablet devices. Native support for the popular K2 component and additional styles to it significantly increases the capabilities and functionality of the template.